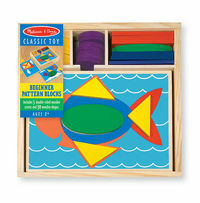 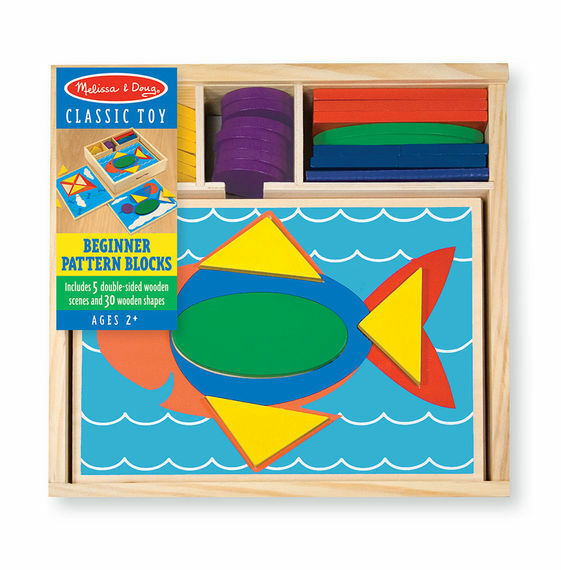 12.33% of people buy Beginner Wooden Pattern Blocks - Melissa & Doug and Melissa & Doug: Wooden Pattern Blocks and Boards. 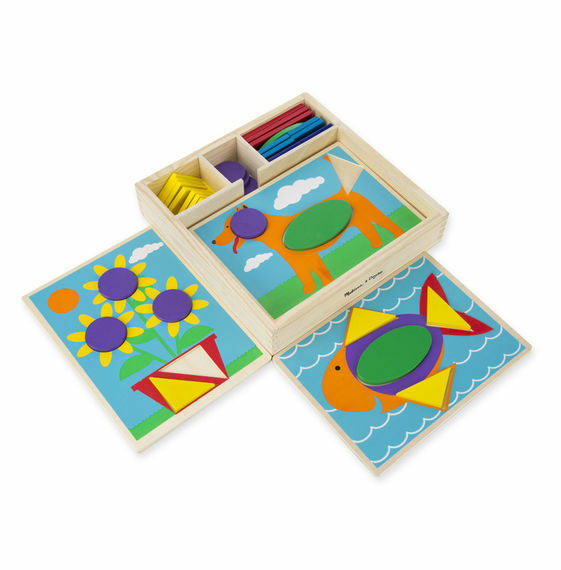 "Great development toy, usual high quality you expect from M&D"
Great development toy, double sided pictures, plenty of shapes so more than one picture on the go is possible or share! 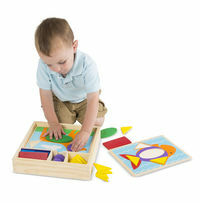 The shapes slot into the pre-cut board – so less frustration for younger ones. Stands up to plenty of punishment, shame that the storage box doesn't have a lid though. 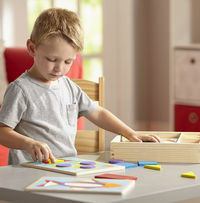 Great first step in making pictures with shapes for little ones and a great starter before they move onto the older version that Melissa and Doug do. 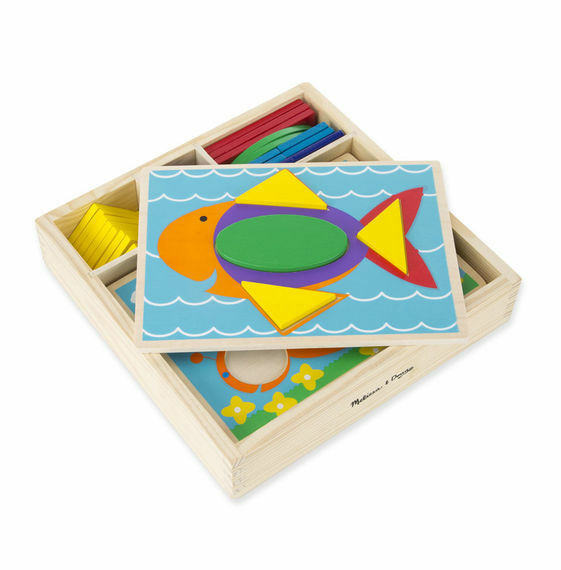 "Good, more fun intro to shapesorting"
Two-fold learning: easy shapesorting, and animal identification. Dimensions: 7.6cm x 27.9cm x 27.9cm Packaged.